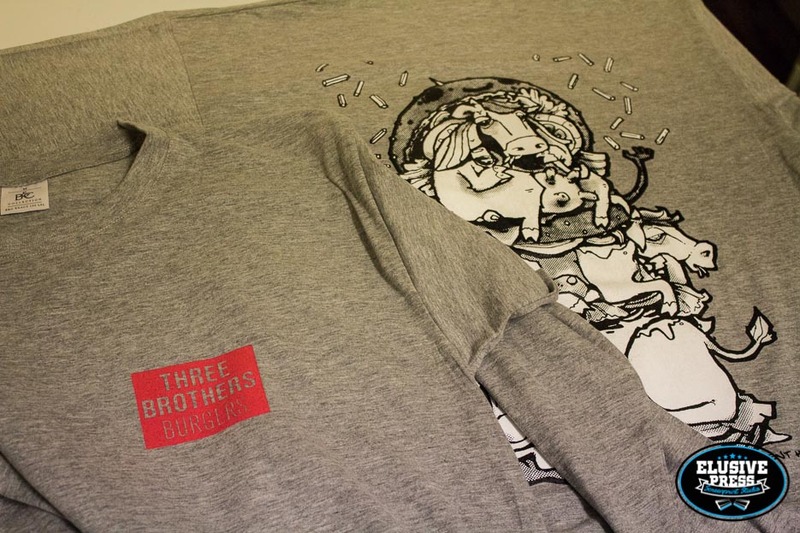 We were delighted to have Bristol Graffiti artist ‘Silent Hobo’ call us up to say, he has recommended us to a Bristol Burger joint ‘Three Brothers Burgers’ to screen print a run of long sleeve tshirts he has designed for them. 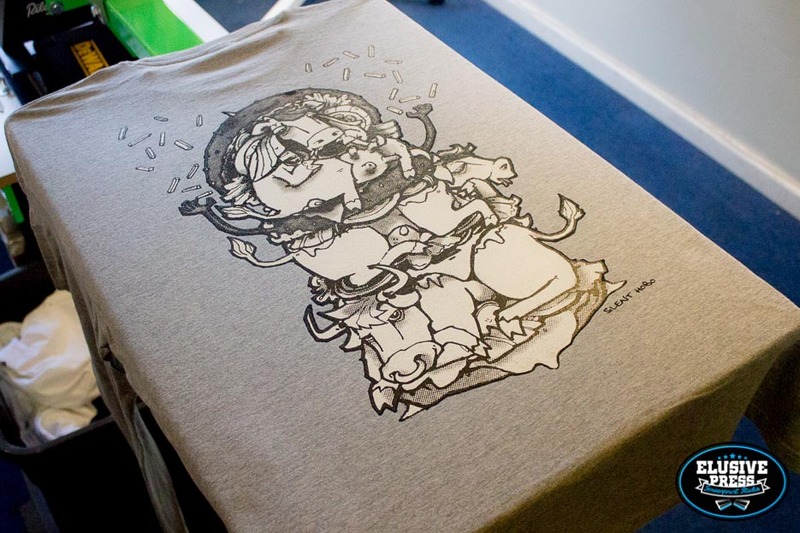 Shortly after we were equally delighted to meet Helen from Three Brothers Burgers who orginised the print run. 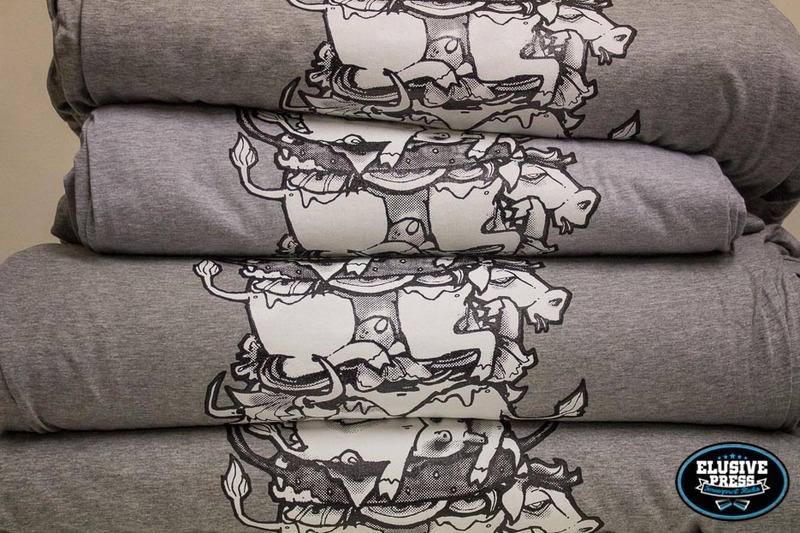 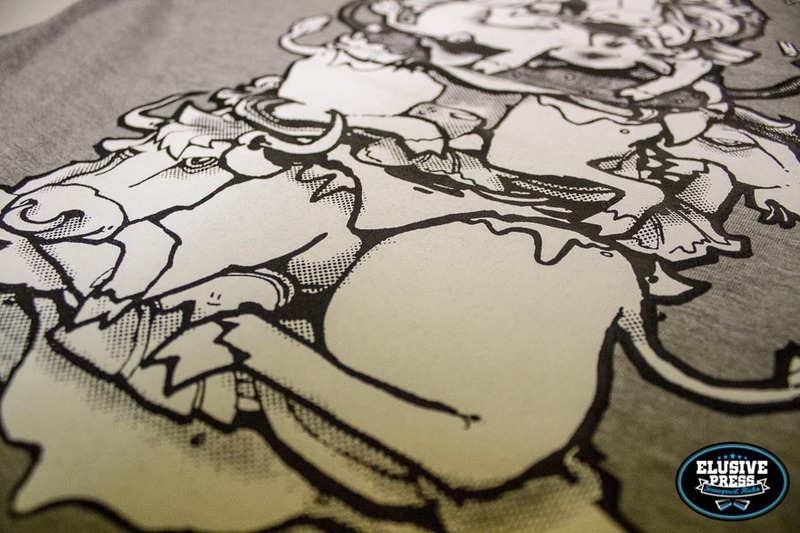 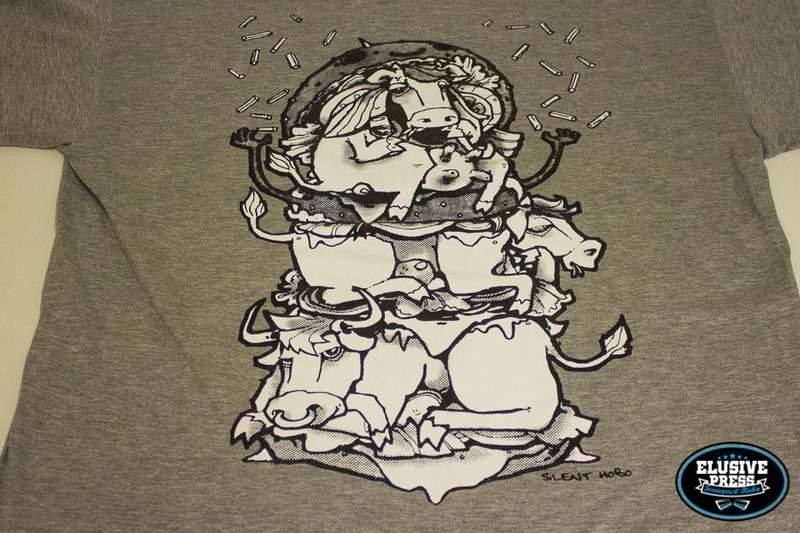 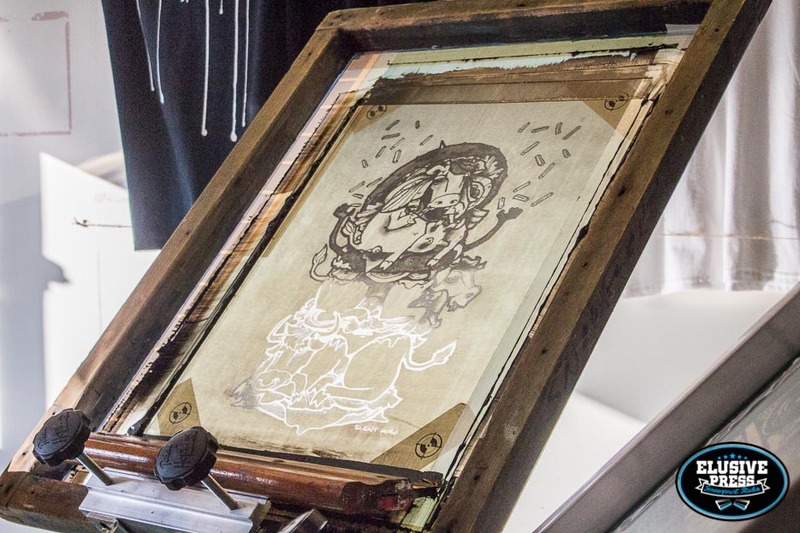 As you can see from the pictures the collaboration tshirt between the Silent Hobo and Three Brothers Burgers is pretty damm good:) Our Bristol screen printers love creative works like this to print. 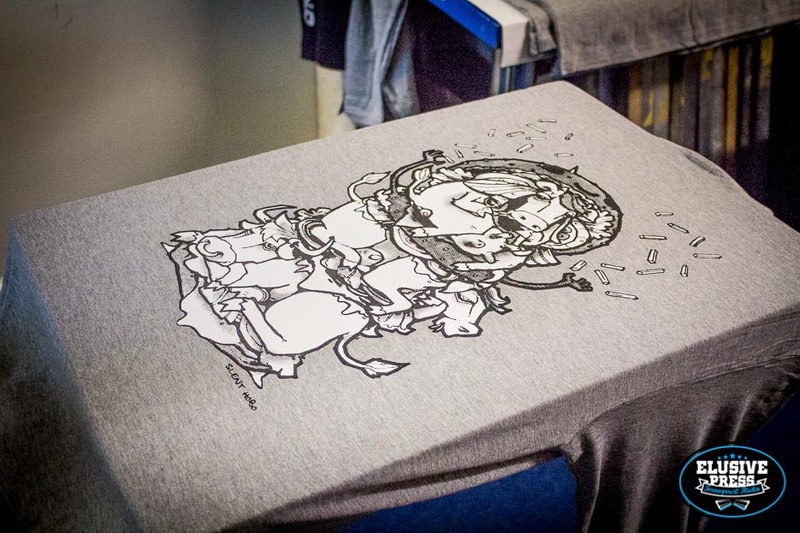 Please click the on photos below to enlarge. 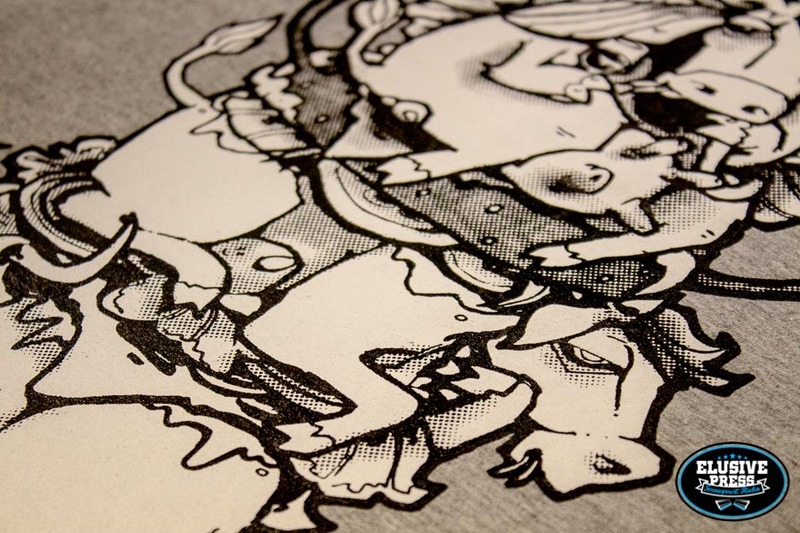 This entry was posted in News and tagged Affordable tshirt printer in Bristol, Affordable tshirt printer in cornwall, Barnstaple screen printer, Barnstaple screen printers, bristol garment printer, Bristol garment printers, bristol graffiti artist silent hobo, Bristol screen printers, Bristol sweatshirt printers, Bristol t shirt and sweatshirt printer, bristol t shirt printer, Bristol T shirt printers, bristol t shirt printing galleries, Bristol t shirts printer, Bristol t-shirt and sweatshirt printers, Bristol textile screen printer, Bristol textile screen printers, bristol three brothers burgers, bristol tshirt printer, Bristol tshirt printers, Bristol workwear, cheap silk screen t shirts, cheap tee shirt printing, Cheap tshirt printers, cheap tshirt printing bulk, cheap tshirt printing no minimum, cheap tshirt printing online, cornwall garment printer, cornwall garment printers, cornwall screen printers, cornwall sweatshirt printers, cornwall t shirt and sweatshirt printer, cornwall t shirt and sweatshirt printers, cornwall t-shirt printer, cornwall t-shirt printers, cornwall t-shirts printer, cornwall textile screen printer, cornwall textile screen printers, cornwall tshirt printer, cornwall tshirt printers, custom screen printers, Custom screen printers in North Devon, custom silk screen t shirts, custom t shirt printing, custom t shirt printing bath, custom t shirt printing wholesale, Custom tshirt printers in North Devon, devon screen print, devon screen printers, devon t shirt printers, Exeter screen printers, Exeter t shirt printers, Garment printer in Bristol, Garment printer in cornwall, Garment printer in south west uk, Garment printer in uk, Gildan premium cotton, graffiti artist silent hobo, High quality screen printing service, High volume fast turn around screen printing, hoodie printing, hoodie printing cheap, hoodie printing companies, how to screen print, Last minute jobs, Last minute screen printers, long sleeve custom tshirts, Merchandise printer, Newquay screen printer, Newquay screen printing, North Devon custom work wear, North Devon screen printer, North Devon screen printers, North Devon t-shirt printer, North Devon t-shirt printers, North Devon tshirt printer, North Devon tshirt printers, North Devon tshirt printing services, online silk screening, Penzance screen printer, penzance screen printers, Penzance screen printing, Penzance t-shirt printers, Penzance tshirt printers, Penzance tshirt printing, Quick turn around custom tshirts, screen print, Screen printer in Barnstaple, Screen printers, screen printers avon, Screen printers in Barnstaple, Screen printers in bristol, Screen printers in cornwall, screen printers in south west uk, Screen printers in uk, screen printing bristol, Screen printing in Newquay, screen prints uk, silent hobo, south west screen printers, sweatshirt printer, sweatshirt printers in bristol, Sweatshirt printers in cornwall, t shirt and sweatshirt printer, t shirt and sweatshirt printers, t shirt printers in devon, t shirt printing bristol broadmead, t shirt printing bristol same day, t shirt printing bristol uk, T shirt Printing in Devon, t shirts printer in Bristol, t-shirt printer, t-shirt printer in Barnstaple, t-shirt printer in Bristol, t-shirt printer in cornwall, t-shirt printers, t-shirt printers in North Devon, t-shirts printer in cornwall, tee shirt printing Bristol, Textile printer, Textile screen printer, the screen printing process, three brothers burgers, three brothers burgers bristol, tshirt and sweatshirt printer in devon, tshirt printer, Tshirt printer in Barnstaple, tshirt printer in Bristol, tshirt printer in cornwall, tshirt printers, tshirt printers in Barnstaple, Tshirt printers in North Devon, tshirt printing, Tshirt printing in Penzance Newquay screen printers, Uk garment printer, uk screen printers, Workwear printers.